As a busy working mother of four, I completely empathize with you parents out there. I realized that during each of my pregnancies, my entire focus each and every time was on the baby, and not on me. I had completely neglected self care and love. I thought that certainly, other parents, even if they are excited about a new baby, have had feelings similar to mine. After the birth of my third child, I struggled in silence with postpartum blues and frustration from juggling a busy financial career with family life. I attempted seeing a therapist, as that was the logical thing to do, but was disappointed with the outcome since I felt I was merely deduced to just a typical textbook case and spent too much time traveling to my appointments. I did find consolation by speaking with my peers, other parents going through the exact same issues and struggles I was facing. This stayed with me as the understanding and encouragement I received from these parents lifted my spirits and helped me gain the confidence I needed to move on. I wanted to create a community for families, with the emphasis on guiding and supporting parents, where they could reach out to coaches covering all parental issues. There are many programs and groups already focused on children’s issues, and although these groups are very important and needed, I realized that there was missing a safe, private, supportive virtual group for parents who do not have the time, money or convenience. The idea of Parentcirkle sprang forward during my fourth pregnancy. My three previous pregnancies were very similar in that my entire focus was always on the baby, and not on myself. Speaking again to my trustworthy peers, I realized that I am not the only one who was going through the same dilemma. Around my third trimester, I shared my anxiety with my doctor, and he informed me that this anxiety puts me more at risk to experience postpartum depression, and advised me to again seek out support. I did my research, and found out that there is very limited support available in the current market. I finally did find and hired a maternity therapist who, at $250 per hour, was not only expensive, but it was also inconvenient for me to get to the sessions. Although I really wanted to, as a busy wealth advisor and mother, I didn’t have time to devote to myself and see my maternity therapist once a week. I knew there had to be a better solution, and if it did not exist already, I was going to create it. After my last baby was born, I started surveying new mothers. Most of them said they would have loved to have someone to talk to. The mothers also said they would like the fathers to join so both parents can be on the same wavelength of understanding. All parents need to be considered. There is myth that postpartum only affects mothers, but in fact, ten percent of men are affected by postpartum depression as well. I also researched if the issue persists in developing countries as well. Interestingly enough, postpartum depression is less common in developing countries, as they still rely on human connections and there is sufficient care of mothers after a child is born. However, in modern developed countries, we in society have isolated ourselves completely behind texts, emails and social media where we cannot share our emotions openly. What is lacking in our society is a forum for open communication with other people who are in similar circumstances. This affects our ability as parents to openly communicate with other parents and ask for help. With the Internet and other technology reaching every corner of the world very quickly, it will be not long before the emerging and the frontier world will also face technological isolation. 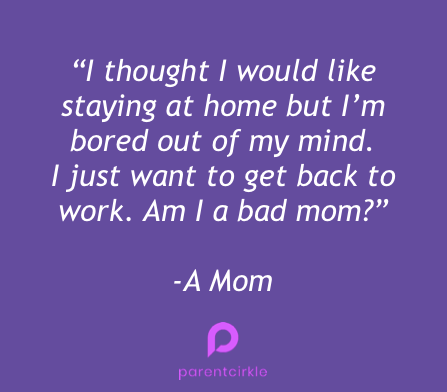 At Parentcirkle, our goal is to provide a network of peer support to create mentally healthy parents who can return to work sooner and contribute to a prosperous economy. Parentcirkle combines parent coaching services with a video conferencing platform so parents can openly express their feelings, struggles, and triumphs. 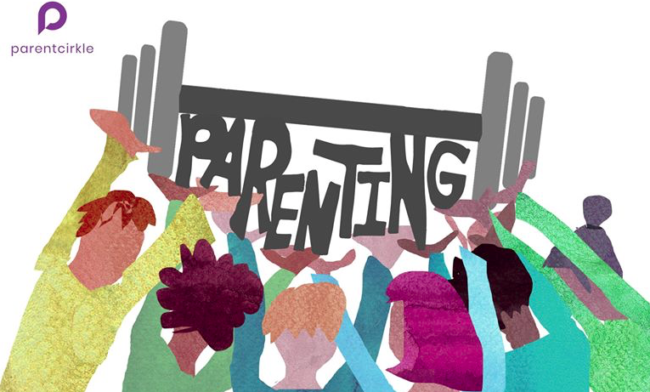 We envision the Parentcirkle platform extending to parents of all ages as parenting evolves with time. During our coach-led sessions, parents access a peer session in the comfort of their own space, sharing best parenting techniques and relevant information. You may choose private one-on-one sessions or a group session. I wish I would have had the Parentcirkle community when I was raising my first two children as a single mother and desperately needed support. Now, I am passionate about creating a community and committed to helping other parents heal and move forward. 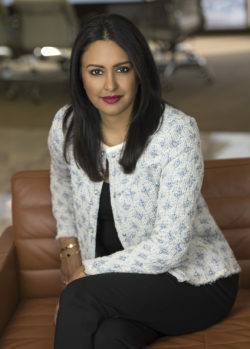 Mary Aggarwal is the Founder and CEO of Parentcirkle, an online community which offers virtual coaching sessions on all things related to parenthood. Mary believes that parents need to be supported, encouraged and guided throughout their parenting journey. In addition to creating Parentcirkle, Mary is a top wealth advisor at a financial firm in Los Angeles. She believes in empowering people to make the best of what they have and achieve fulfillment.